Hypothyroidism is type of thyroid disease that occurs when the body doesn’t produce enough thyroid hormone to properly regulate metabolism. 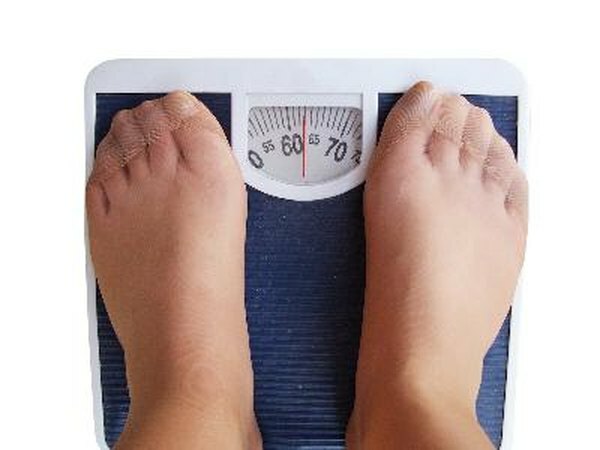 A side effect of this chronic condition is unintentional weight gain. However, hypothyroidism is a treatable disease; the right treatment and a diet tailored to your health can help control symptoms and help you lose excess weight. Treatment for hypothyroidism involves taking a synthetic form of thyroid hormone in tablet form. Once the thyroid levels in your body are back to normal, it should be easier for you to lose excess weight gained from hypothyroidism. The first step in a weight loss diet for hypothyroidism is to seek treatment for the disease. Although taking synthetic thyroid medication can lead to weight loss in people with hypothyroidism, its cannot be used for the sole purpose of weight loss in patients without thyroid diseases. Thyroid medications are not an effective treatment for obesity in people with normal thyroid levels, and too much thyroid hormone in the body can lead to serious health problems. No specific weight loss diet is recommended if your hypothyroidism is controlled, meaning your thyroid levels are in a normal range. In order to lose excess body weight, the same general weight loss guidelines apply to people with controlled hypothyroidism as for the general population. Cutting daily calories by 500 to 1,000 per day can help you lose about 1 to 2 pounds per week. This approach to healthy weight loss is recommended by the American Dietetic Association. Adding regular physical activity to your weight loss program can help reduce body fat, tighten and tone your body and help maintain your weight loss long-term. Reducing your carbohydrate intake to lose weight may help you reduce your overall daily calorie intake. However, according to the American Dietetic Association, following a low-carb diet generally won’t help you lose more weight than other types of calorie-reduced diets after one year. Instead, replace any simple carbohydrates such as white bread, white rice and white pastas with the whole-grain varieties. These complex carbohydrates contain fiber that can help you feel full on fewer calories and is helpful for weight management.